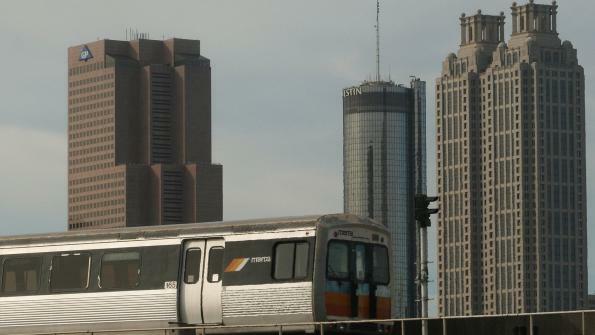 Voters in Clayton County approved a plan to fund mass transit, marking the first expansion of Atlanta's mass transit system in over 40 years. Voters in Clayton County, Ga., agreed Nov. 4 to join with the Metropolitan Atlanta Regional Transportation Authority (MARTA), paving the way for bus and possibly rail service to extend south from the system’s urban core. According to The Atlanta Journal-Constitution, 74 percent of voters supported bringing Clayton County into MARTA, while 26 percent opposed. Supporters emphasized possible economic benefits, including improved connectivity to educational centers and areas of new development, while opponents warned the increased sales tax would hurt local businesses and that Clayton lacked the population density necessary for rapid rail. MARTA has been operating in Fulton and DeKalb counties since 1971. With the new vote, Clayton County, which has not had mass transit since 2010, will become the first new county to join the system since its inception. The measure will increase Clayton County’s sales tax from 7 to 8 percent, generating approximately $45 million in revenue. Half of this money will fund limited bus service starting in March 2015, with full bus service the following year, while the other half will be set aside for future extension of MARTA’s rail network or the establishment of bus rapid-transit, the AJC reports. By FY 2016, six local-fixed bus routes, two flexible-circulator buses and paratransit for the elderly and handicapped should be in operation, with environmental and engineering studies underway for the rail line, according to MARTA materials. Bringing rail service to Clayton will require an agreement with the Norfolk-Southern railroad, however. One option is to share lines with Norfolk-Sothern’s existing freight trains, while the other is to build new tracks alongside the existing line. Either option requires a lease of right-of-way; the options will be considered during the environmental/engineering studies, MARTA says. Should an agreement with Norfolk-Southern be worked out, MARTA rail could be operating in Clayton County by FY 2022. Although specific station sites will require negotiation with local governments and property owners, MARTA’s plan anticipates seven initial stops, beginning at the existing East Point station and extending through Morrow and ending near the Jonesboro Justice Center. In the future, rail transit could be extended even farther, from Jonesboro over Lake Jodeco Road and McDonough Road to Lovejoy at the county’s southern tip. MARTA’s plan anticipates the advanced planning for this to take place by FY 2025.